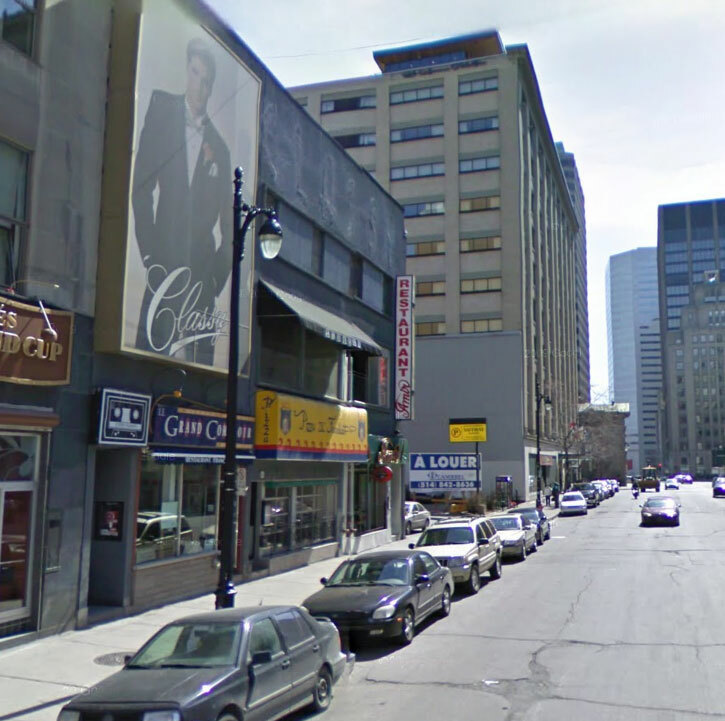 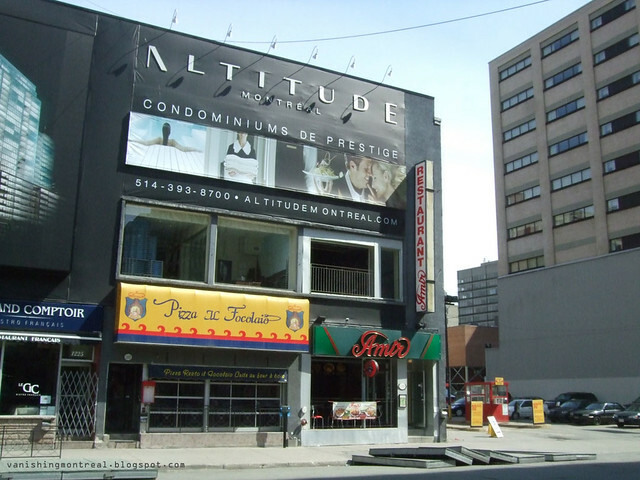 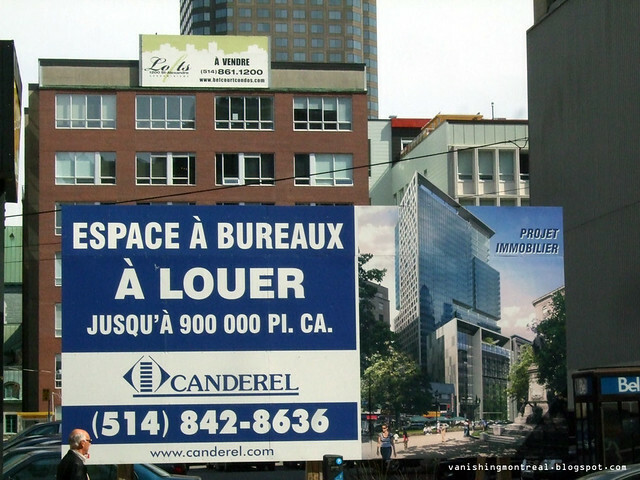 The Classy shop & billboard, the famous Montreal landmark which featured a handsome man in a tuxedo and was a familiar presence for some 90 years, is history on rue Square-Phillips and it's now the temporary sales office for the Altitude condo project that's going up nearby. 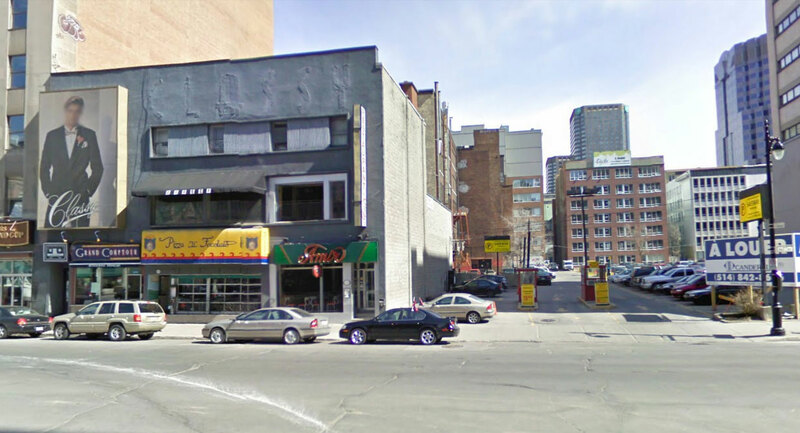 The adjoining parking lot will destroyed for a new office project. 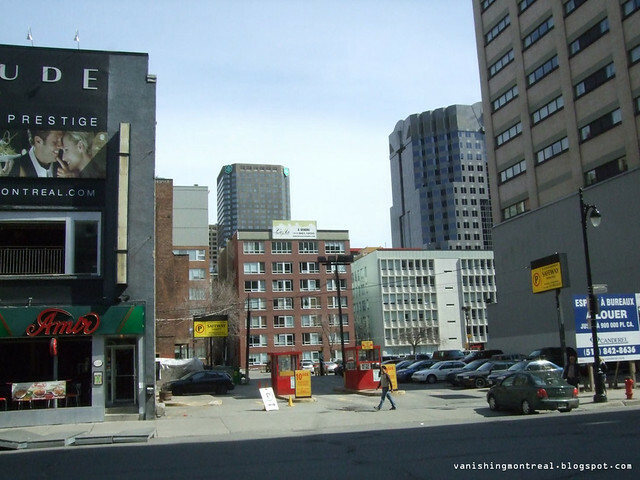 Here's an interesting article on the famous company.